Situated along the golden sands of the famous Jumeira strip, Le Royal Meridien Beach Resort and Spa is one of Dubai's premier resorts. The elegant beach and gardens, Roman-themed spa and luxury bedrooms, all with private balconies, cater to the needs of both business and leisure travellers looking for a high degree of personalised service. For the discerning diner, the resort boasts 14 restaurants and bars. 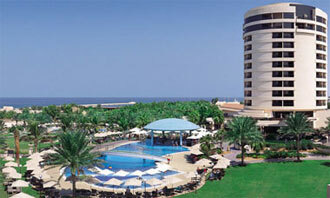 The hotel is located just three minutes from the world-famous Emirates Golf Club. Pets allowed at the hotel's discretion. The hotel's 500 rooms and suites can cater for almost every type of traveler. From the understated luxury of our standard rooms, to the business-friendly environment of the club and the sophisticated splendor of the butler-serviced Tower, where guests can enjoy the latest personalized entertainment and IT technology, choice is again paramount. Room service is available 24 hours a day and in keeping with our approach to service, can be tailored to meet individual needs. Food glorious food with 14 restaurants and bars we offer our guests the world on a plate. Pick out your lobster, fresh from the Gulf. Dine on the finest Beef. Share a pizza created by a genuine Italian pizzaiolo. Savour a plate of steaming Indonesian satay. Or simply enjoy a sandwich by the pool. Whatever, or wherever you choose to eat the food, service and ambience is always the product of passion, care and imagination. Relax and soak up the sun amidst the lush greens of the beautiful landscaped gardens, with the pristine Arabian Glf lapping at your feet. Three temprature-controlled pools provide a cool haven for swimmers of all ages. Or you can join the kayakers, windsurfers and deep sea fishermen making the most of the beautiful, crystal clear seas. Back on dry land, our floodlit tennis and squash courts provide the perfect distraction. For your special events, our conference and banqueting services provide international expertise to guarantee a truly unforgettable occasion. We offer seven rooms with a capacity ranging from 20 to 350 people. We also offer a full range of audio-visual equipment and technical support. In addition to our indoor function rooms, we give you the option of holding your event outdoors. The landscaped poolside gardens and beach are extremely attractive and unique locations for entertaining. These areas can accommodate groups of 30 to 1500 for all kinds of functions. Anytime, any place, anywhere is our motto when it comes to outside catering. Delivered to your door or served at your table, the choice is yours. We use the finest ingredients coupled with the best space to create a memorable experience. Our kitchen brigades, comprising 12 nationalities, have an extensive repertoire to please your palate. Our experienced banqueting management has abundant ideas that will make your party a success.